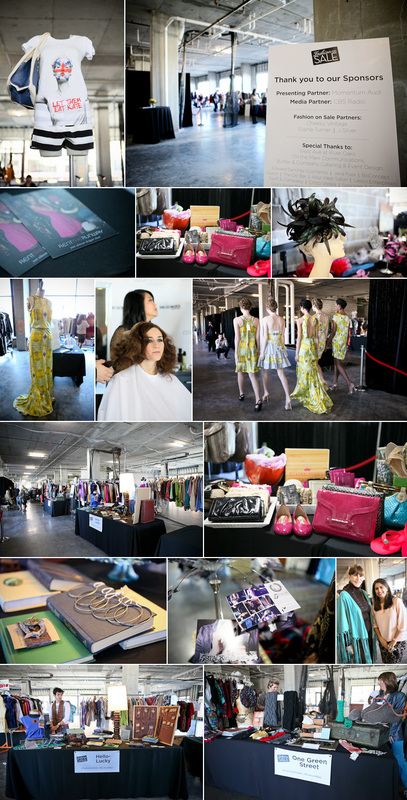 attended culturemap's fashion on sale event this past saturday.. held above Tootsie's in the West Ave center. It was a wide open space with that 'cool' warehouse feel.. because it was pretty much an undone space. of course you will always wish for more boutiques to be present, you can never do too much shopping you know.. but amongst the ones that were there, there were deals to be had, and new discoveries to be made. two of my new favorite local discoveries? Hello-Lucky and One Green Street, both with storefronts in houston, focusing on an organic/green lifestyle. Hello-Lucky recreates new items from recycled materials, while One Green Street carries some fashion items as well as a slew of other organic beauty/home items. Local designers Chloe Dao and David Peck were also on hand with casual fashion shows throughout the event. Rent the Runway was there as well.. and Not to be missed were the vintage boutiques.. so much Chanel, it was hard to resist.. i'll have to check out their storefronts to see the entire selection first. I so wish events like this happened here! Looks like a really stellar event. sad i missed out... the event looked like it was a hit!